If you're looking to flatten your tummy and carve out your waist, this waist trainer is an instant solution! It's made with our trademark firm compression PowerSlim® fabric to sculpt your torso in the front and back. It has an inner soft fabric layer, so it won't irritate your skin. 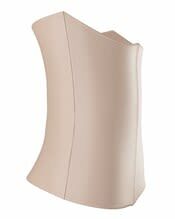 This waist cincher's 3-position front hook-and-eye closure is easy to use, and totally adjustable for a perfect fit every time, even as you lose weight. 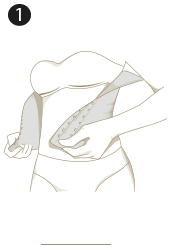 It also has incorporated side and back boning, which means that it will hold its shape and stay in place no matter what. Here's the solution you've been waiting for! 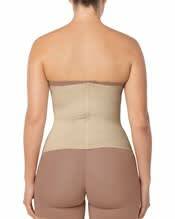 Note: This waist shaper is latex-free. If you’re looking for latex, check out ref. 015791.